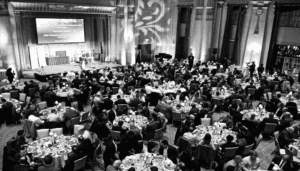 ControlTrends Awards Announces the 2018 CTA Award Winners, Young Guns, Petock Award Recipient, and Hall of Fame Inductees. 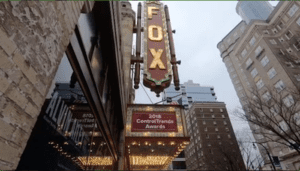 Marc Petock and Kimberly Brown did a marvelous job co-hosting the 2018 ControlTrends Awards ceremony at the historic Fox Theatre in Atlanta, where the superstars and heroes of the HVAC and Building Automation industries were recognized, along with 2018 Hall of Fame inductees, the 2018 Petock Award recipient, and the 2018 ControlTrends Young Guns. Photo and video highlights to follow! 2018 ControlTrends Awards Highlights V1. 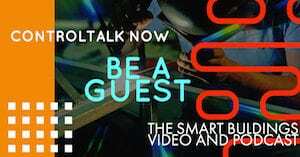 Thanks to Rob Allen for his awesome highlight video from the 2018 ControlTrends Awards on Sunday night. The ControlTrends Awards celebrate the best of the best in Smart Buildings and HVAC Controls. To check out this year’s winners, click here. 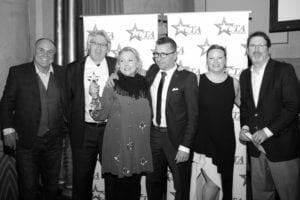 We have lots more media footage and photos from the 2018 ControlTrends Awards yet to come, so stay tuned to ControlTrends to see more. To view highlights of our first ControlTrends Awards click here. Images from the 2018 ControlTrends Awards. They say a picture is worth a thousand words and we tried to say a lot with the 2018 ControlTrends Awards, as we honored the superstars of the Smart Building and HVAC Controls world. We have lots more media to come, so stay tuned to ControlTrends for all the Smart Buildings and HVAC Controls News you can use, and for updates on the ControlTrends Awards. Until then, please enjoy these images, and Click here to see the winners from this years show. 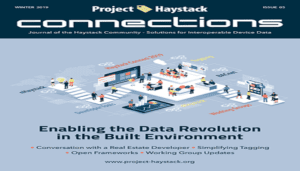 Project Haystack Organization Publishes Winter 2019 Issue of Connections Magazine. The Project Haystack Organization, a collaborative community addressing the challenge of utilizing semantic modeling and tagging to streamline the interchange of data among different systems, devices, equipment and software applications, today announced the publication of their fifth issue of Haystack Connections Magazine. 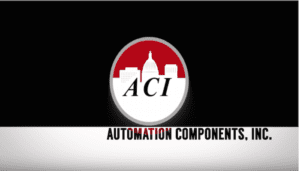 ACI Releases NEW BACnetTM Sensor Line. Committed to engineering a better sensor solution, ACI has launched the BN Series Temperature and Humidity BACnetTM Sensor Line. This new line has been designed to meet the sensor needs of network-based control systems. ACI’s initial offering includes single point temperature or humidity sensors along with dual point combination temperature and humidity sensors. 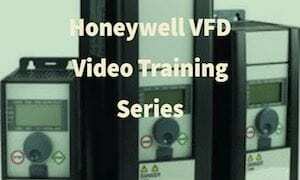 Shorehill Recapitalizes Functional Devices. Author: Hannah Kibler. 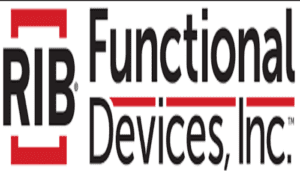 We are excited to announce that effective January 4, 2019, Functional Devices has been recapitalized by a group of investors consisting of Shorehill Capital, LLC, Ken Rittmann and certain members of the management team. Shorehill is a Chicago-based private equity firm focused on equity investments in North American based engineered industrial product, industrial service and value-added distribution companies. Leading Industry Experts Join Ken Sinclair’s 7th Connection Community Collaboratory at 2019 AHR EXPO. 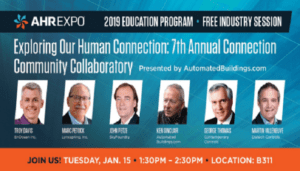 Ken Sinclair was joined by a panel of renown industry experts at the Exploring our Human Connection, Our Seventh Annual Connection Community Collaboratory held January 15th, at the 2019 AHR EXPO in Atlanta, to assist Ken’s heightened efforts to enlighten our industry and help maximize the potential opportunities the burgeoning wave of IoT technologies that both endow — and challenge us.